Neil MacCormick's works relating particularly to the legal theory of the Scottish Enlightenment, legal reasoning as a branch of practical reason, the theory of sovereignty in the European Union context and aspects of social democracy, liberalism and nationalism. "The assumption that sound scholarship in law can or should be dispensed with by the intending lawyer is too absurd to bear scrutiny." 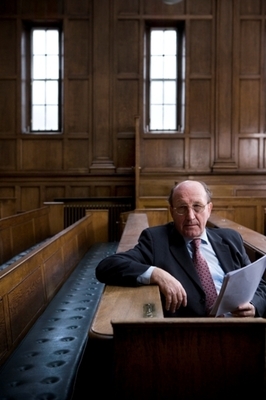 He was awarded many academic and other honours for his contributions to the field of legal philosophy, including a knighthood for services to scholarship in law, an honorary QC and a Royal Medal from the Royal Society of Edinburgh in 2004. MacCormick was a SNP Scottish Member of the European Parliament from 1999 to 2004 and a member of the convention that drafted the proposed constitutional Treaty for the European Union. Sir (Donald) Neil MacCormick (1941-2009) was a graduate of the University who became a distinguished legal scholar and politician. He also served as a Scottish National Party member of the European Parliament (1999-2004) and Vice-President of the party (1999-2004). Born in 1941, his father John MacCormick, was one of the founding fathers of the Scottish Nationalist movement. 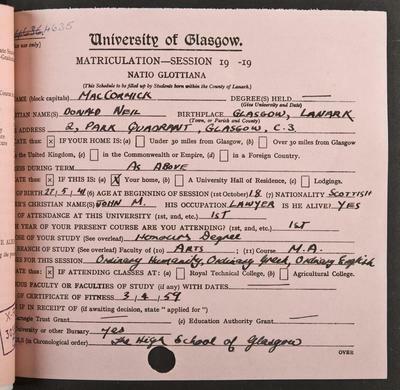 Neil attended the High School of Glasgow before matriculating at the University of Glasgow to study English and Philosophy. An outstanding student, he graduated with First Class Honours in 1963. A Snell exhibition took him to Balliol College, Oxford, where he graduated BA in Jurisprudence. 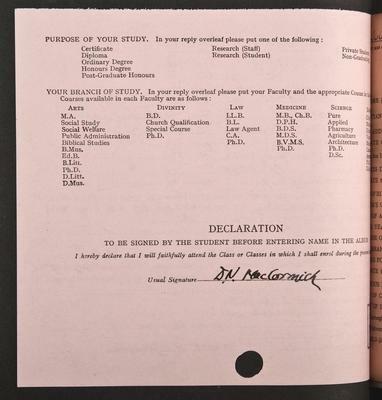 His academic career began at St Andrews (1965-67), followed by a period at Balliol before appointment to the Chair of Public Law at the University of Edinburgh in 1972 where he made a very significant contribution to legal philosophy. He engaged in the major disputes of his time concerning legal reasoning between H L A Hart's concept of law and Ronald Dworkin's, emerging with his own highly regarded critique. He was appointed Queen's Counsel (QC) in 1999 and was knighted in 2001 for his services to scholarship. He was also the recipient of many public honours, including the Royal Society of Edinburgh's Gold Medal in 2004. He was a Fellow of the British Academy and a Fellow of the Royal Society of Edinburgh. His many honorary doctorates included one from the University of Glasgow in 1991. As an MEP and member of the Convention on the future of Europe he was involved in drafting the proposed Constitutional Treaty. He was also voted Scottish Euro MP of the year in 2001, 2002 and 2003. He retired from the Parliament in 2004 to return to research and was able to complete the last of three volumes of his major work on legal theory. He retired from his post as Regius Professor of Public Law at Edinburgh University in 2008 and passed away in April 2009. MacCormick, Neil. 2007. Institutions of law, an essay in legal theory. Oxford: Oxford University Press. MacCormick, Neil. 2003. Legal reasoning and legal theory. Oxford: Clarendon Press. MacCormick, Neil. 1999. Questioning sovereignty: Law, state and nation in the European Commonwealth. Oxford: Oxford University Press. MacCormick, Neil. 2008. Practical reason in law and morality. Oxford: Oxford University Press. World Changing Project, "Legal philosophy," in University of Glasgow World Changing (University of Glasgow, 2010); http://www.worldchanging.glasgow.ac.uk/article/?id=104 (accessed April 25, 2019). World Changing Project. "Legal philosophy." In University of Glasgow World Changing. University of Glasgow, 2010. http://www.worldchanging.glasgow.ac.uk/article/?id=104 (accessed April 25, 2019). World Changing Project. "Legal philosophy." University of Glasgow World Changing. University of Glasgow, 2010. 25 April 2019 <http://www.worldchanging.glasgow.ac.uk/article/?id=104>.